Jim practises at the Lingwood Clinic once a week and has his own private Clinic in Bulphan. He is qualified in Western Massage, Thai Massage and Shiatsu. 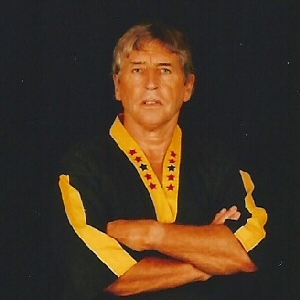 He has trained in Thailand and Japan and has over twenty years experience. He specialises in back and neck problems and sport related injuries. Contact Jim direct for an appointment or for further information. Sports Massage for athletes is the most effective therapy for releasing muscle tension and restoring balance to the musculo-skeletal system. Regular treatment helps athletes in the prevention of injuries. Is a strong powerful treatment and is ideal for those with a physical lifestyle. The massage works on the energy lines used in Chinese & Japanese therapies & includes some stretches from Thai Massage. Is a unique and powerful massage therapy, combining Acupressure, gentle stretching and applied yoga. The benefits include relaxation, greater mobility, enhanced energy & improved blood circulation. Shiatsu is 'Finger Pressure', it is an ancient Japanese form of oriental massage designed to stimulate the body's acupuncture points & meridians.